Applicants must be at least 18 years of age. A Ride-Along may be approved for someone under the age of 18 if their parent's or guardian's signature is on the application waiver. Members of RPD's Explorer program can be approved if their application is submitted through their Explorer advisor. 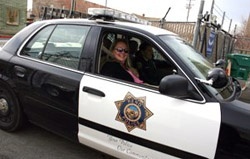 A Deputy Chief must approve any Ride-Along for someone under the age of 18. Applicants must submit a completed Ride-Along application, understand the guidelines, and sign a waiver prior to the Ride-Along. Applicants must provide a valid I.D., preferably a Driver's License, in order to obtain approval for the Ride-Along. Applicants must pass a limited background check. Applicants with outstanding warrants, crime conviction, violent-crime arrests, pending criminal charges, or civil claims or lawsuits against RPD or City of Reno employees will be denied. Providing false information on the application automatically disqualifies the applicant from participation in this program. Applicants must have an acceptable history of sound mental health. An RPD Commander will be the final authority as to whether an applicant's mental health background is questionable. The work and activities of law enforcement officers is inherently dangerous. Strict adherence to the following guidelines is necessary to safeguard participants and to minimize the possibility of interference with normal RPD activities and obligations. Read and sign the waiver form, acknowledging understanding of and agreement to adhere to the terms and conditions of the Ride-Along. Report to the main Reno Police Station at 455 E. 2nd St. on the day and at the time listed on the Ride-Along application. Present a neat and clean appearance and wear appropriate apparel. Appropriate apparel consists of long pants and a shirt or blouse with collars and sleeves. Unacceptable attire includes dresses, skirts, t-shirts, tank tops, sandals, or high heels. Clothing or jewelry that could be offensive to the public, to the Department, or to the City, will not be allowed. Tattoos that could be offensive will need to be covered during the Ride-Along. No headgear or clothing should be worn that could create a perception that the Ride-Along participant is a member of law enforcement. This includes police logos, patches, badges, insignia, writings, words, phrases, pictures, a Sam Browne belt, basket-weave leather items, flashlights, handcuffs, or any other police-related equipment. No Ride-Along participant may carry a firearm. This includes off-duty officers from outside jurisdictions. It does not apply to oficers from other agencies working an assignment in conjunction with RPD. Participants may not possess or use any cameras, video equipment, or other recording devices during the Ride-Along. Participants must provide for their own meal during a Ride-Along if applicable. Participants must follow instructions of the assigned officer and any other officers for their own safety. Participants may not take part in any police action or act in a police capacity during the Ride-Along. Participants may not converse with prisoners, suspects, witnesses, victims, media personnel, or other persons with whom the officer comes into contact during the Ride-Along, unless they are directed to do so by the assigned officer. Participants must not interfere with the assigned officer while he or she is conducting police business. While Ride-Along participants are encouraged to ask questions, please do so at the appropriate time. Participants must wear safety belts at all times while the police vehicle is in motion. Participants must stay in the police vehicle unless otherwise instructed. Any deviation from these guidelines or from the assigned or another officer's instructions may result in the immediate termination of the Ride-Along participation. 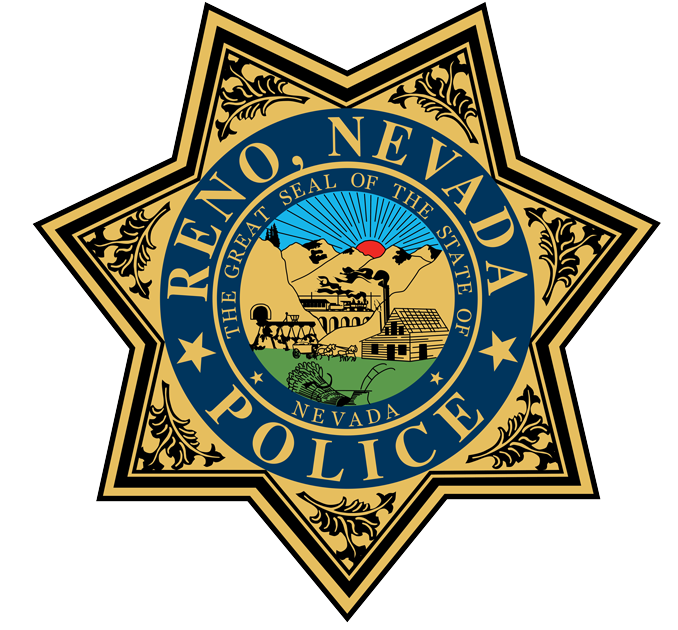 You can submit your completed application by either going to the Reno Police Department main station, e-mailing it to askrpd@reno.gov or faxing it to 775-334-3890, along with a copy of a valid Driver's License or other acceptable form of I.D. When you bring or send in the completed form, your I.D. will be photocopied and the information on it used to conduct a routine background check. You will also be asked to read and sign the Waiver/Release of Liability Agreement. It will take approximately two weeks to process your application. You will be notified by telephone regarding the status of your application and the date and time for which it has been scheduled. 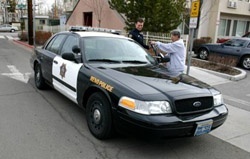 RPD's main station is located at 455 E. Second St. in Reno. The station is open Monday through Thursday between the hours of 8:00 a.m. and 5:00 p.m. The main station is closed on Federal holidays and on Nevada Day.